How do HSA and Medicare work together? An HSA is a Health Savings Account. It is a type of Consumer-Directed Healthcare account (CDH accounts). HSAs are related to Health Reimbursement Arrangements (HRAs) and Flexible Spending Accounts (FSAs). If you are turning 65 you can keep the HSA that you've built up, but you should not contribute to it. Let's take a look at how HSA and Medicare work. HSAs allow you to contribute pre-tax money to your account. Later you can utilize the money for a wide variety of health services. Some of these services are not even eligible under Medicare – such as vision and hearing, but you can use your HSA to pay for them. Contributions and funds used for qualified expenses are not taxed. HSA balances and interest roll over from year to year. You do not have a “use it or lose it” feature with an HSA. Because of this, they are extremely attractive for younger people who want to save as much tax-free money as they can. Contributing to an HSA and Medicare do not go together. 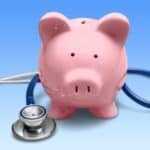 An important aspect of HSAs is that contributions to the HSA and Medicare participation at the same time is prohibited. 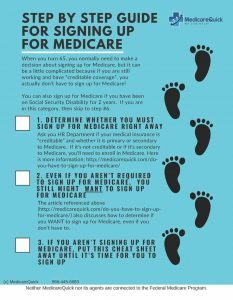 This includes both Medicare Part A and Part B. If you contribute to your HSA after obtaining Medicare status, you can be assessed penalties of 6%. If you have been contributing to your HSA for a long time after turning 65, it could have a dramatic impact on your finances. The IRS will look back to the first ineligible contribution when calculating the penalty. Funds used for qualified expenses after age 65 will not be taxed. And, if you use the funds after age 65 for non-qualified expenses, they'll be taxed. Non-qualified expenses are typically non-medical expenses. The good news is that you won't have a penalty for withdrawal after age 65, even for non-qualified expenses. If you have an employer plan that includes an HSA, you should not contribute to it, and neither should your employer. Make sure you understand the rules to avoid penalties and taxes from the IRS. Don't worry….you don't have to cash out your HSA. It can continue to grow. You can continue to invest. Just don't add any more money to it to avoid the 6% penalty. You can have an HSA, you just shouldn't contribute to it after you enroll in Medicare. Because they are normally not taxed for qualified expenses, HSAs are incredibly useful funds. As usual, always discuss the implications of enrolling in Medicare Parts A and B with your HR department before you do it. For more detailed information on Medicare, go to Medicare for Dummies.